Simplicity, authentic design, distinctive workmanship, an appreciation for hard work, and quality time spent outside with friends and family, are the pillars of what this Vermont-based company was built on. 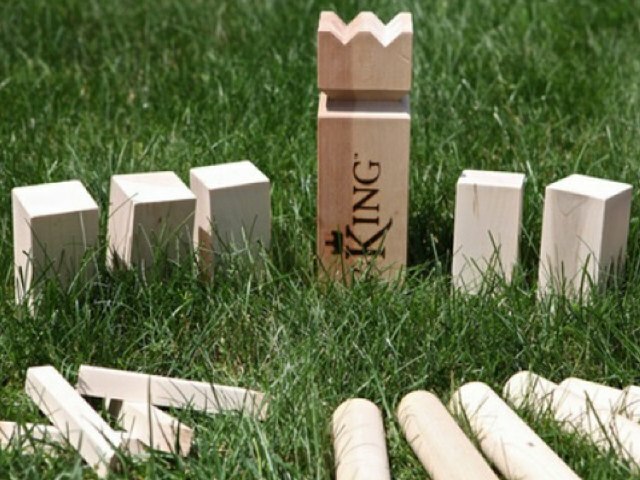 V:King is a take on a Swedish lawn game, combining classic Swedish design with quality Vermont craftsmanship. It can be played almost anywhere outdoors and requires very little set up. It is the perfect game for families and friends to enjoy during your wedding cocktail hour, and will bring years of enjoyment after the big day!